Grab your tickets to the top 12 theatrical shows and arts performances happening around the Greater Houston area in April 2018. Still looking for more entertainment this month? Visit our Event Calendar for a more comprehensive list. Dark Matter at Studio 101 | Through Saturday, April 14 – Mildred’s Umbrella presents this series of short, darkly funny plays by Don Nigro. The show closes out the company’s life at Studio 101; with the next show, MU will be taking up residence in Chelsea Market. Tickets are $25. Showtimes vary. Broadway at the Box at Music Box Theatre | Through Saturday, April 21 – With a selection of Broadway tunes from The Music Man to Hamilton, this cabaret show is sure to delight fans of musical theatre. The Music Boxers, G Sharp and the MBT Three will perform. Tickets are $39 for reserved seating; $29 for general admission, may find limited discounted tickets for $14.50. Showtimes vary. Ann at Stages Repertory Theatre | Extended through Sunday, April 22 – Sally Edmunson is giving a tour-de-force performance as one of Texas’ icon governor and master of bon mots, Ann Richards. The one-woman show explores Richards’ career and her personal struggles as she rises to prominence in both the state and the national Democratic party. Tickets start at $25. Showtimes vary. Daisy at Main Street Theater | Through Sunday, April 29 – Sean Devine’s drama looks at the story behind one of the most famous political ads of all time, Daisy. Only shown once, in the run-up to the 1964 election, the ad was a chilling look at nuclear war and has become known as a case study in the power of manipulation. Showtimes vary. Small Ball at MATCH | Friday, April 6 through Monday, May 14 – Catastrophic Theatre presents this new musical, which tells the story of the island nation of Lilliput and its quest to hire Michael Jordan to help its basketball team be more competitive. Tickets start at $10. Showtimes vary. My Beloved…Meet me at the Prom at MECA | Saturday, April 7 – Frame Dance presents this original production, an immersive experience that uses love letters gathered from the Houston community in a whimsical 1980s prom setting. Tickets start at $20. 8pm. The Government Inspector at Chelsea Market | Wednesday, April 11 through Sunday, April 29 – Classical Theatre Company presents Nikolai Gogol’s farce about a small-town mayor and his crooked cronies who receive word that an anonymous inspector from the state will be coming to town incognito to check on them. Tickets are $25. Showtimes vary. Don Quixote at the Hobby Center for the Performing Arts | Friday, April 13 to Sunday, April 15 – Houston Ballet brings back this beloved story of the adventurer Don Quixote and his search for his idyllic woman, Dulcinea. Based on the novel by Miguel de Cervantes, the production is Ben Stevenson’s, and incorporates soaring music, stunning costumes, and glorious choreography. Tickets start at $39. Showtimes vary. West Side Story at HGO Resilience Theater | Friday, April 20 through Sunday, May 6 – This new production of the classic Leonard Bernstein musical is a modern-day Romeo and Juliet, telling the story of star-crossed lovers Tony and Maria. The two fall in love at a dance, but Maria’s brother is a member of the Sharks, a street gang, and Tony is one of their hated enemies, the Jets. Tickets start at $25. Showtimes vary. The Forgotten Empress at Asia Society Texas | Friday, April 20 and Saturday, April 21 – Combining South Asian classical dance, live music, multimedia, and theater, this dynamic dance drama is based on the life of Empress Noor Jahan in 16th century Mughal India. Tickets are $35. 8pm both nights. ¡Fiesta! At Jones Hall for the Performing Arts | Saturday, April 21 – The Houston Symphony offers this family-friendly Latin party, complete with Mariachi musicians, folklorico dancers, selections from Disney’s Coco and the famous Toreador’s Song from Bizet’s Carmen. Tickets start at $22. Shows at 10am and 11:30am. 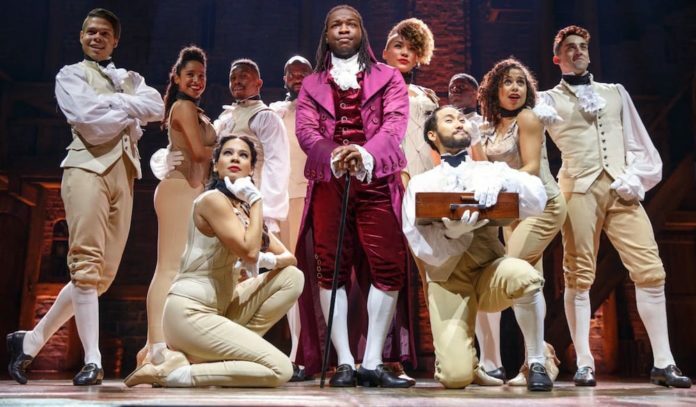 Hamilton: An American Musical at the Hobby Center for the Performing Arts | Tuesday, April 24 through Sunday, May 20 – Lin Manuel Miranda’s epic chronicling the life of immigrant founding father Alexander Hamilton took Broadway – and the world – by storm. Based on Ron Chernow’s biography, the show follows Hamilton’s rise and fall through the Revolutionary War to the founding of U.S. Treasury, through fortune and loss, told with a combination of hip-hop, jazz, blues, R&B, rap, and Broadway music. Remaining tickets range from $175 to $1375, but you may find tickets for sold out shows, or better seats, on TicketNetwork’s resale marketplace. Showtimes vary. Holly Beretto writes about food and wine, the arts and interesting people for a variety of local and regional publications. In addition to 365 Things to Do in Houston, her work has appeared in the Arizona State University Alumni Magazine, Arts + Culture Texas, Bayou City Magazine, Downtown, Galveston Monthly and Houston Woman. 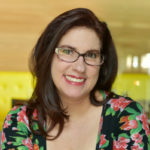 She is also a regular contributor to Eater.com's Houston site. She earned her B.A. in mass communication with a minor in professional writing from Franklin Pierce College (now Franklin Pierce University) and her M.A. in communication studies with an emphasis in journalism from St. Louis University. She has worked in television news production, public relations and marketing in Rhode Island, Maine, New York and Texas. A native Rhode Islander, she has lived in Texas since 1997. She is the author of Christ as the Cornerstone: Fifty Years of Worship at St. Michael the Archangel Catholic Church, published by Bright Sky Press.